The U.S. Court of Appeals for the Federal Circuit hands down decisions that can dramatically affect the fate of a company's intellectual property assets. Recently decided patent cases are listed below with links to the court decision as well as a Finnegan summary of selected cases that involve key developments or evolving trends. 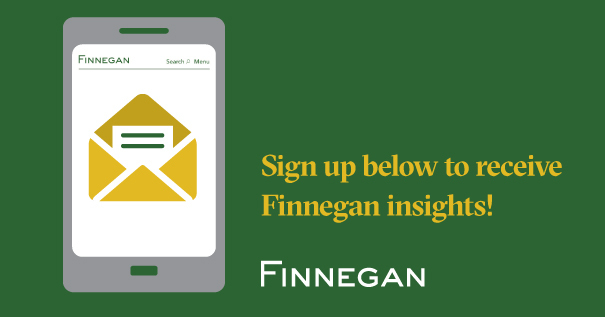 You can access these same decisions using your mobile device from Finnegan’s Patent App[eals]®. Newman, Pauline; Schall, Alvin A.; O'Malley, Kathleen M.
Shaw, Thomas; Gorowitz, Francie R.; Coggins, Robert H.
Lourie, Alan D.; Dyk, Timothy B.; O'Malley, Kathleen M.
Lourie, Alan D.; Moore, Kimberly A.; Chen, Raymond T.
Wuhan Keda Marble Protective Materials Co., Ltd. v. Tenax S.P.A.
Tenax S.p.A. v. Wuhan Keda Marble Protective Materials Co., Ltd.
Moore, Kimberly A.; Clevenger, Raymond C., III; Wallach, Evan J.
Taranto, Richard G.; Schall, Alvin A.; Chen, Raymond T.
Innovative Memory Systems, Inc. v. Micron Technology, Inc.
Prost, Sharon; Reyna, Jimmie V.; Stoll, Kara F.
Micron Technology, Inc. v. Innovative Memory Systems, Inc.
Dyk, Timothy B.; Mayer, Haldane Robert; Bryson, William C.
Amneal Pharmaceuticals, LLC v. Purdue Pharma L.P.
Dyk, Timothy B.; Clevenger, Raymond C., III; O'Malley, Kathleen M.
Parrot S.A. v. QFO Labs, Inc.
Kayak Software Corp. v. International Business Machines Corp.
TEK Global S.R.L. v. Sealant Systems International, Inc.
Polygroup Limited MCO v. Willis Electric Company, Ltd.
Dyk, Timothy B.; Reyna, Jimmie V.; Hughes, Todd M.
Polygroup Limited MCO v. Willis Electric Company Ltd.
Colas Solutions, Inc. v. Blacklidge Emulsions, Inc.
Colas Solutions Inc. v. Blacklidge Emulsions, Inc.